Ready for two minutes of women's history? 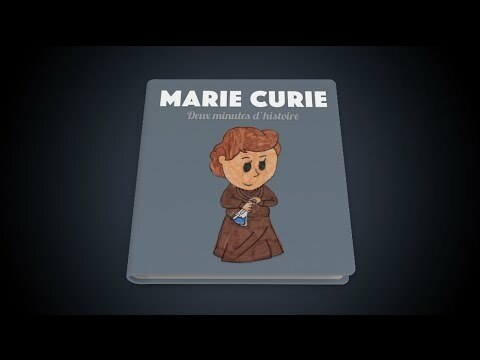 Listen to French kids talking about renowned scientist Marie Curie in this cute video. Below, you'll find the transcript in our bilingual reader: click any French phrase for the English translation and related grammar lessons. Note: The tenses in this French article and its English translation don't match! In French, we use the present and future tenses to describe historical stories like this to evoke a sense of immediacy, whereas in English, we commonly use the past tense - learn more about historical French tenses.